Me at the top of Mont Ventoux with my lovely Brompton. 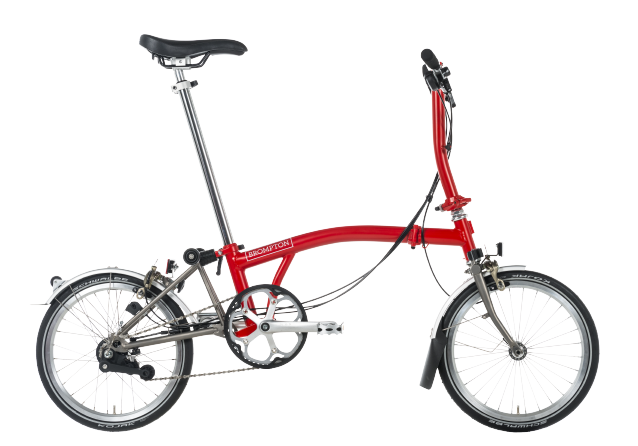 I’ve had my Brompton just over a year now. 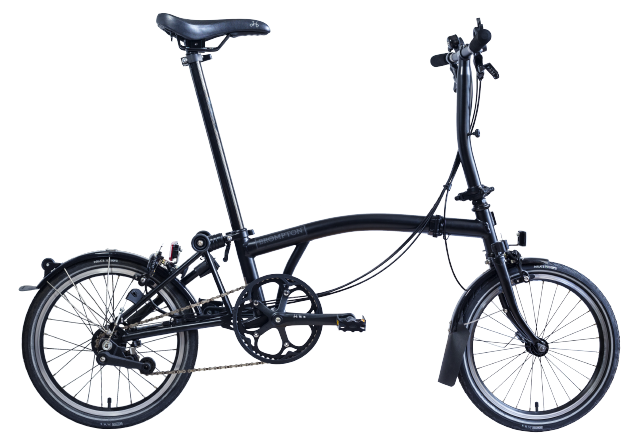 It is an M6R type with the standard range of 6 gears. I bought it because it would fit in the boot of my car and because of the ingenious way I can attach various luggage bags to the front without affecting the ride too much. After being inspired by the Tour De France last year it seemed a good idea at the time for me to have a go at Mont Ventoux. However, none of my close friends really wanted to do it and to shut me up said they would attempt it in 2018. I knew by then that this crazy idea would fade away by then so my son agreed to do it with me after a few beers at Christmas time. It hit home that this is going to happen when we booked the accommodation in Maulecene there and then. I then wondered will I actually get this 57 year old body up the climb and survive. The day came quick, 17th June 2017. 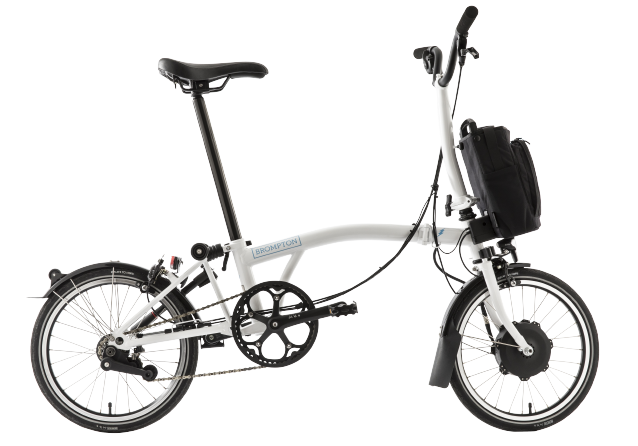 Even the night before my son was trying to talk me out of it and to hire a road bike instead but I love my Brompton and wanted to be slightly different and prove what this little bike can do. I added a quick release water bottle clamp to the seat post and my mini o bag contained another bottle plus gels etc. The weather was good to us, sunny with light winds. We warmed up by cycling to Bedoin and climbed from there as it is the most famous route. My mood was good and I started at a good pace with the first part being a relatively low gradient. However, it soon started to ramp up. This particular day there was an event on as the climb was much busier than normal and I found myself following the person in front not knowing If I had enough strength to overtake and then pull away from them. There were even spectators beside the road on the way up. As I approached them I got odd looks as they studied what I was riding. Many of them also cheered and encouraged me to proceed, which was nice. As we progressed my heart rate was sitting around 98% of maximum so occasionally stopped to drink & refuel. I spent a lot of the time out of the saddle as I couldn’t turn the cranks sat down. The moon like landscape of the top section of Mont Ventoux. The top of Mont Ventoux, looks closer than it is. Many kilometres later we were out of the trees into the moon like landscape, I could now see the top with the syringe shaped building in the distance. This realisation that I may actually make it gave me a boost of energy and I started to overtake people and even managed to change to second gear. This burst actually pushed my heart rate to 103% of my theoretical maximum. Me with a sudden burst of energy getting nearer to top. I recognised an English comment as I passed a team of cyclist – “what the f***”; one of them shouted, this made me chuckle and feel more attached to my little bike. However, it wasn’t very long after that I was forced to have a quick break as I developed really bad cramp in my right leg. I struggled on, slowly the “syringe” got bigger as the road snaked towards it. Once again the dreaded cramp kicked in just a couple of hundred meters from the top. I thought I can’t give up now. With lots of encouragement from my son I got going again & finally reached the top. After many photos and congratulations from my son & some refreshments later it was time for the decent. This I found very easy reaching a maximum of 44.4mph on the longest straight and being very careful on the switchbacks. When we reached the bottom I was so pleased with myself & proud that my little bike could actually do this type of journey. I would also like to thank my son Jamie for supporting me and for being brilliant company throughout this trip. Overall average speed of the climb & decent was 10.5mph and 5466ft elevation gain. My actual cycling time to climb the 13 miles (21km) was about 2hrs 11mins I know I’m not the first person to cycle up this mountain on a Brompton but am I the oldest at 57, unlikely?